At Version 1 we’re focused on simplifying your journey to Oracle Cloud. 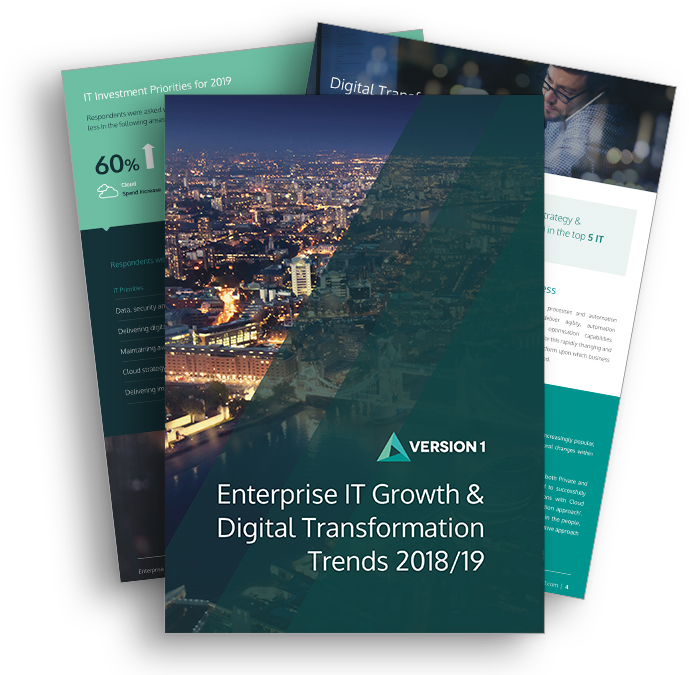 We understand that CIO's and IT decision makers live in a complex and challenging world and are faced with multiple competing demands such as cost of ownership, agility, scalability, availability etc. Version 1 and Oracle combine to bring simplicity to the chaos, allowing you to easily migrate your IT estate to Oracle Cloud i in five simple steps. Over the coming weeks I will take you through these steps and our process to ensure a successful journey to the cloud through individual posts on each step. Click on the links below to view the posts. We are half way through the series now so keep an eye out for future posts.